Looking at the reviews, I know I’m supposed to like this. Who am I kidding; I even started on the book because of the good reviews. I thought it would be one of those stories I would enjoy since this is the kind of a story I love to read. Obviously, it was just a wishful thinking. Despite all the things I've said earlier, I admit My Life Next Door wasn’t all that bad. I did enjoy some parts of the story if not the whole story altogether. For me, the soul of this book lies on Garrett’s family who, in this case, is the most hilarious and interesting bunch of people I've ever met. George is my favourite by far. The love I have for that boy, I would’ve adopted him into my family in a heartbeat. The rest of the family are not bad themselves too. Just like Samantha, I admired them. They are not easily brought down by their less-than-perfect ways of living. They breed faster than your next intake of breath and they wear it proud. They’re messy but they’re happy. They’re basically what you want in a family. It was a joy to read about them. I found Samantha and Jase’s relationship innocently refreshing. They have sweet written all over them. 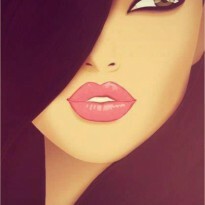 I can do sweet. Now let;s get to the part which the story didn’t quite work out its magic for me. For about 3/4 of the story, I found it to be tremendously dull despite all the so-called dramas going on with Samantha’s mom and Samantha, Samantha’s mom and Clay, Samantha and Clay and Samantha and Nan. Honestly, I couldn't care less about all the dramas. They felt contrived and weren’t convincingly done. More like a necessity for the completion of the story which in a sense they were but that’s beside the point. It failed to capture my interest. If it wasn’t for the Garrett’s, I would have chucked this book right away. But I didn’t. Mostly because of Garrett’s (I told you they were the heart of this book) and partly because I was hoping it would get better. In the end, it remained lifeless. 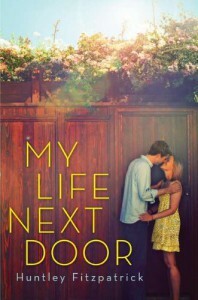 Overall, My Life Next Door wasn’t a total flop but it wasn’t winning any award anytime soon either.